Yesterday, we received the tragic news that Berta Cáceres, a champion of human and environmental rights in Honduras and longtime AJWS grantee, was murdered in her home. We are devastated by her loss. Berta was a hero to all of us at AJWS. She was a globally recognized human rights leader who gave a voice to the indigenous people of Honduras, as she bravely fought for their land and water rights. Join Us and Demand Justice! Join us and urge Secretary Kerry to demand justice for Berta, the people of Honduras, and human rights activists around the world. Berta Cáceres won the Goldman Environmental Prize in 2015 for her leadership in opposing one of Central America’s biggest hydropower projects, a multi-million-dollar dam, which would have devastated the surrounding areas that were home to indigenous communities. 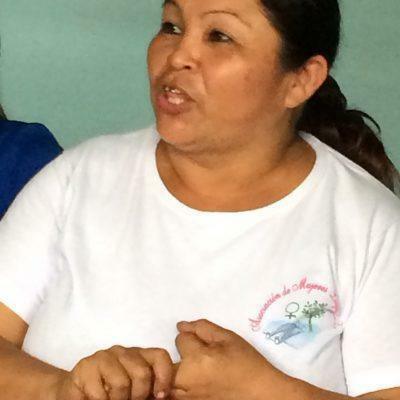 Berta was the co-founder of the Council of Indigenous Peoples of Honduras (COPINH), an organization dedicated to addressing threats to the collective rights of the indigenous Lenca communities in Honduras and to protecting their land from the negative effects of illegal logging and destructive mining and dam projects. To this day, COPINH fights for the Lenca communities’ rights and for meaningful economic opportunities for the members of this community. Over the years, Berta persevered in her advocacy in the face of multiple threats to her life over the years as she decried the injustice and corruption in her country. Her work will be kept alive by the Council of Indigenous Peoples of Honduras (COPINH), which she co-founded, and by those continuing to fight for the human rights of others in the face of great danger. Read AJWS’s full statement on Berta’s murder. Berta’s daughter, son and mother released a statement after death. Read the full statement from Berta’s family here. We grieve Berta’s death, but we will not remain silent in the face of this brutal injustice. Join us and urge Secretary Kerry to demand justice for Berta, the people of Honduras, and human rights activists around the world. Additionally, AJWS’s partners have released a petition calling for the immediate protection of Gustavo Castro, who was injured during Berta’s assassination, and who is a member of AJWS Mexico grantee Otros Mundos. Watch the video below to learn more about Berta’s courageous work.